BRYAN EATON/Staff photo. 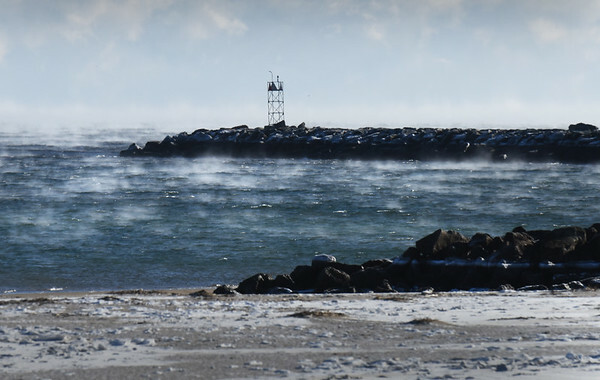 Sea smoke covers the ocean at the north jetty of the Merrimack River and beyond at Salisbury Beach. It's caused when extremely cold air passes over warmer water which was 45 degrees yesterday.